Meditation can be considered as a means for balancing the body and mind. It can be used for stress and anxiety relief, to boost our mood, to tackle chronic pain and to improve health overall. However, in order to benefit from some aspects of this practice, deep levels of consciousness needs to be reached and this is not easy to do so. Therefore, meditation music can be a key tool in helping people reach that deeper level of meditation many seek, especially those that use binaural beats. Many of us find it hard to sit still in silence and can be uncomfortable with it. Our minds start thinking about the things we need to be doing, or we try to empty our minds and find random thoughts intruding. One thing to understand, when meditating is that you’re not doing it “wrong” just because thoughts pop into your head. Acknowledge those thoughts but don’t actively engage with them. Just observe them and let them go. Using meditation music, especially those that use binaural beats (form of brainwave entrainment), can help you to focus and concentrate by engaging the mind through sounds. For many of us who are constantly on the go, sitting and staring at a wall for 20 minutes or so can feel really boring. Boredom can lead to our minds racing through thoughts or becoming stressed because we are thinking that we are wasting our time sitting there and could be doing other things. 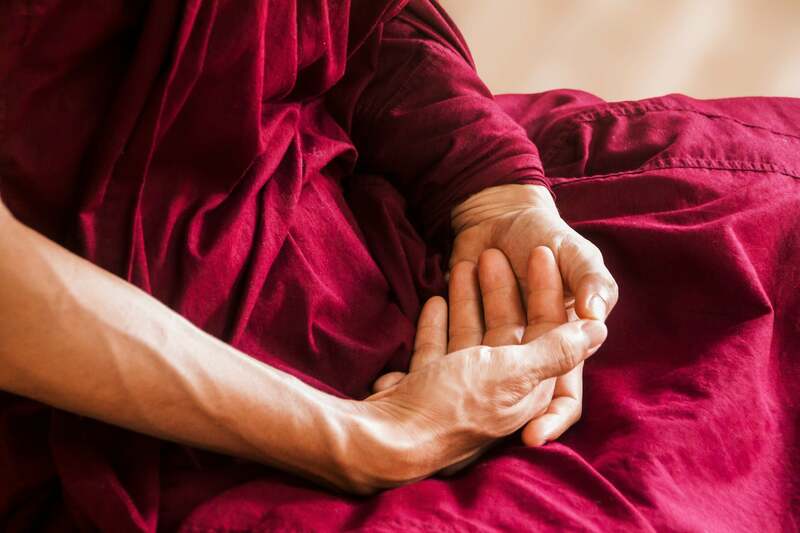 For some, the stillness and quiet of meditation can make one feel sleepy, even to the point of falling asleep. Using the right meditation music with binaural beats can help keep the brain engaged and alert. There are many forms of meditation music that you can use, from nature sounds to calming music. However, meditation music that utilizes a form of brainwave entrainment such as binaural beats is much more effective. It helps you reach deep brain states such as Alpha and Theta in a quicker and easier way. Have you ever found yourself feeling mesmerized by the sound of a stream or the ocean? If so, you have experienced the effects of brainwave entrainment. Certain sound frequencies can help our brainwaves to sync up with that frequency, causing those deeper states of meditation. Brainwave entrainment works by stimulating the brain into a specific state through the use of a pulsing sound, which encourages our brainwaves to sync with that frequency. With binaural beats, two different sound frequencies are played, one in each ear causing our brainwaves to readjust to the difference between the two tones. For example, playing a 130 Hz tone in one ear and a 120 Hz in the other will cause the brain to entrain to the difference, which would be 10 Hz in this example. 10 Hz is a tone that corresponds to the Alpha brain waves range. The same can be done to reach a Theta state as well. This is why using binaural beats for meditating can be beneficial. It helps the brain reach that state quickly and keeps it there until the session is over. It helps block out all that excess brain chatter we get when trying to meditate while also keeping the mind alert enough to not get bored or fall asleep. The best part is that there are lots of free meditation music that can help get the brain into a more positive state. While Alpha is a typical brain state associated with meditation, Theta is the state most people want to reach for deep meditation. Alpha brain waves bring you into a meditative state that is relaxed but still aware. The tones are between 7 Hz to 13 Hz. It’s the state we are in when our thoughts are just wandering freely and we feel relaxed, like when we are doing routine things such as light housework or gardening. Alpha has long been considered to be the bridge between our subconscious and conscious mind. Theta is the state most people seek for deep meditation. This state is also known as the “Twilight state”. It ranges between 4 Hz to 7 Hz and feels like a trance like state, where the mind may feel like it has gone to sleep but is still very conscious of what is happening around it. It’s where our minds are highly receptive to suggestion, such as during hypnosis. You can see why using meditation music with binaural beats is so beneficial. It can help to get our creativity flowing, clear our minds, relax, solve problems and assists in personal development. You can find brainwave entrainment for kicking bad habits, improving issues and generally getting your mind and body back in balance. All you need is a pair of headphones to be on your way to a deep and beneficial meditative experience. If you would like to get free meditation music with binaural beats, please click here. 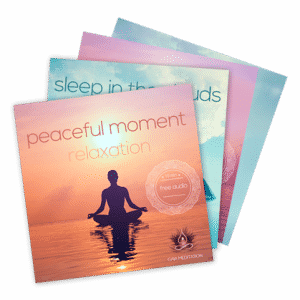 Have you ever used meditation music with brainwave entrainment for your meditation practice? Does it improve your sessions? Let us know by leaving a comment below. Thank you. previous post: What are Binaural Beats and Their Applications?